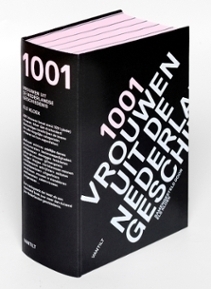 Els Kloek from Huygens ING (Institute for Dutch History) made the Libris longlist of ten titles on history published in the year 2012/2013 with her 1001 vrouwen. This book is the publication in book form of her Digital Women’s Lexicon, which is part of the corpus of data for BiographyNet. Els brought together almost 300 authors to write entries in this biographical dictionary of famous Dutch women. Els also works on BiographyNet on behalf of Huygens ING and was one of the applicants of the project. The entire longlist can be seen here. Antske Fokkens will present at the Annual Network Institute Event on July 4. During this event, the different groups working together in the interdisciplinary Network Institute at VU University will come together to exchange their research ideas and results. Antske will present on the challenges involved in reproducing results in NLP research.